Missions is an endeavor beyond our local congregation to fulfill the great commission (Matt. 28:18-20) by making disciples, planting churches, and aiding in the growth and development of newly-planted churches among all peoples, tribes, and tongues. With this perspective in mind, the Missions Committee partners with like-minded mission agencies in the support of both short-term and career missionaries who seek to bring the Gospel to the lost. These missionaries may be serving in evangelistic, translation, or discipleship positions, as well as in positions of missionary support, either within or outside of the United States. Chris serves as manager of the Information Technology Department, which works to meet the computer needs of the institute and of the individual students. He is also part of the Leadership Team. 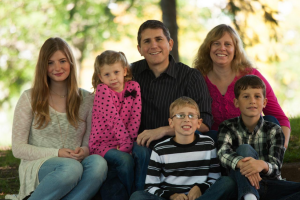 Melanie, in addition to home-schooling their children, is Administrative Assistant to the Leadership Team. Chris and Melanie also have the wonderful opportunity to help train and disciple students presently attending Ethnos360 Bible Institute. Child Evangelism Fellowship is an international, Bible-centered, faith ministry dedicated to the task of winning boys and girls to Christ. One of the main outreaches of this ministry is Good News Clubs. These Bible clubs are held in public elementary and middle schools. Lake Country School is the site for our Good News Club, which is held weekly during the school year. We support CEF by staffing our Good News Club and purchasing the needed curriculum and supplies. 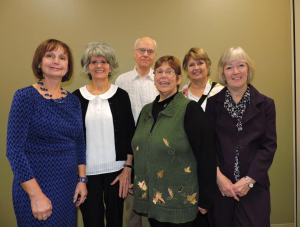 Our present staff includes Rosie Salick, Sharon Ginn, Bill Wagner, Duffy Pagel, Sherri Parchem, and Terry Urban. © 2019 Lake Country Bible Church. All rights reserved.